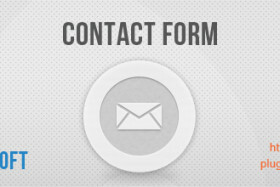 Contact Form Plugin by BestWebSoft is a sweet little plugin that integrates into your wordpress page, or post, by a shortcode. Very useful for blogs, no php or html knowledge required. It is relatively popular among wordpress users, I my self use it on couple of my clients websites, mostly for its multi language support.